The Norelco Santa Christmas commercial is one of the most successful commercials in advertising history. This Norelco commercial set the standard for holiday spots. Animation comes in all sorts of venues, not just films and television shows, and the Norelco Santa ad proves that quality animation can be outstandingly effective advertising. 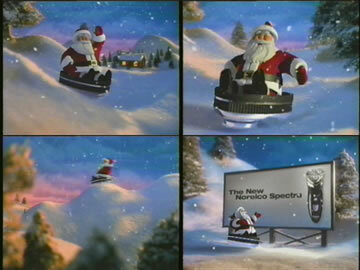 The Norelco Santa spot is one of the most ubiquitous but little discussed instances of cutting edge animation. Norelco is the American brand name for the electric shavers and other personal care productions of the Philips Domestic Appliances and Personal Care unit of the giant Dutch Philips company. They adopted this name because, back in the 1940s, Philco objected that "Philips" sounded too much like their name. 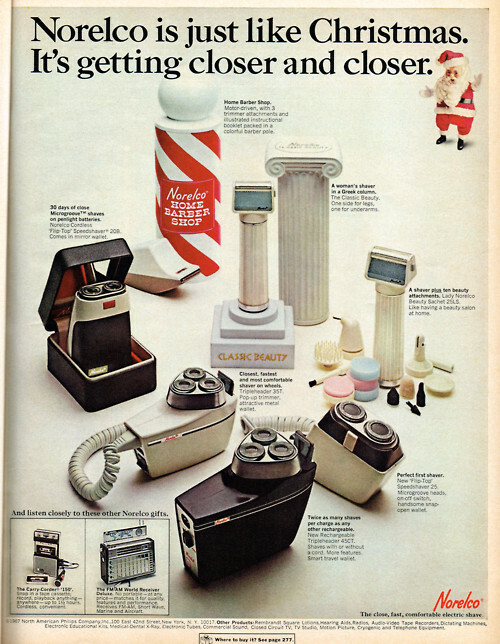 That problem went away many years ago (Philips bought Philco in 1981), but Philips has retained the Norelco trade name in the United States probably in no small measure because of the good will built up via the Norelco Santa Christmas commercial. 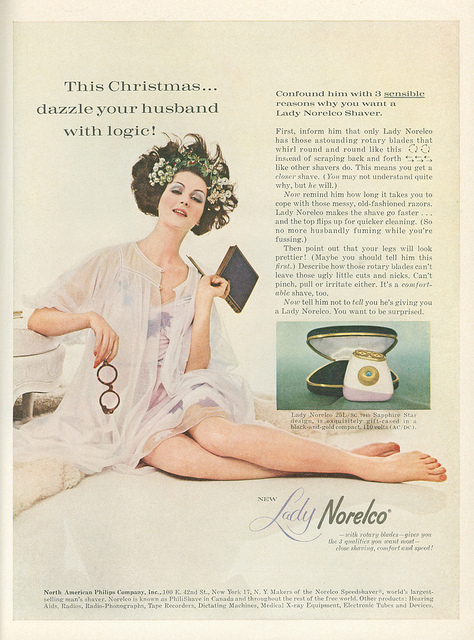 The Norelco Santa Christmas commercial has been running since the 1960s, but only hit its stride in the 1970s. During that decade, the Norelco Santa was one of the most advanced pieces of animation anywhere, and not just in television commercials. My personal favorite out of all the ads is the 1971 edition, which has turning snowman heads (including a female snow-person, in deference to who was almost certainly going to be the one buying the men their shavers) and an almost continuous Santa sleigh ride in the background. Later ads focused more on the actual products and less on Santa's sleigh ride - what nerve! 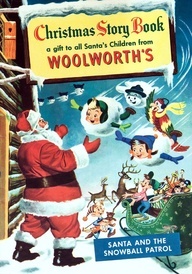 The Norelco Santa Christmas ad was the only animation that many people saw from day to day. In quality, the Norelco Santa Christmas ad rivalled the Rankin/Bass holiday specials and often aired during them (Rankin/Bass may have had a hand in making the Norelco spots, too). People would get confused as to whether the Norelco Santa Christmas commercial was part of the show, which is every advertiser's dream. In those days, animation on television was primitive, and it almost never was used in commercials, especially those targeted at grown-ups. Quality animation was not what you would expect to see during that commercial break when it was time to go into the kitchen and fix a quick sandwich. The accompanying Norelco Santa Christmas Commercial jingle to some versions - and it sure was a jingle in different senses of the word! - went: "Floating heads, floating head, floating all the way/Norelco is the shaving gift to give on Christmas day." Apparently, the voice-over was by Peter Thomas (or maybe Art Linletter, they sounded alike). The Norelco Santa Christmas commercials would end with the deliberate mis-spelling of "Norelco" to “Noëlco,” accompanied by the tag line, "Even our name says Merry Christmas." People "got" corny jokes like that in those days. Political correctness eventually put a stop to that version of the Norelco Santa Christmas ad. Those were more innocent and less culturally sensitive times. Unbelievably, the Norelco Santa Christmas commercials are still shown in some places today. They do not have the same high profile as once they did, but rest assured that Phillips still gets mileage out of its razor-driving Santa. The latest Norelco Santa ad rolled out in 2011. 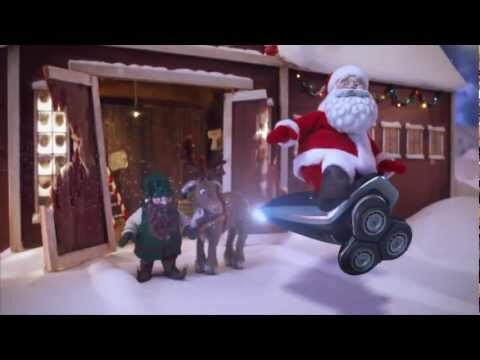 It is called "Santa's New Ride" and fuses stop motion animation with CGI. 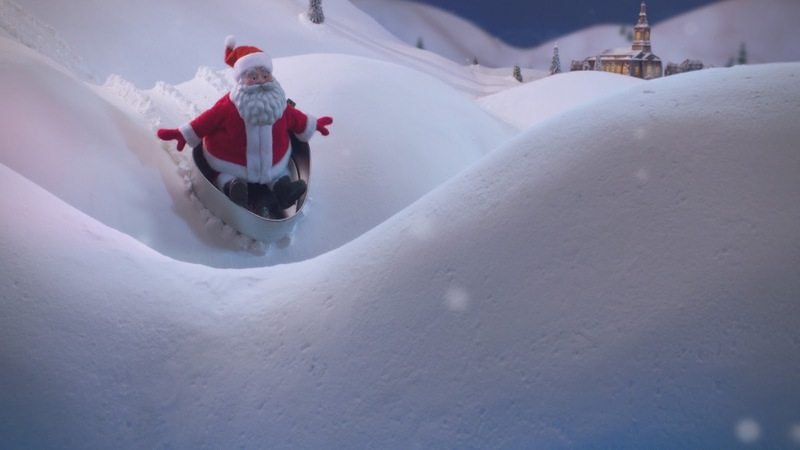 The stop motion elements for this recent Norelco Santa ad were created by BixPix, while the blend of CGI and the stop motion footage was handled by re-think studios. You may never see that ad, but it is proof that the Norelco Santa ad campaign not only survives, but continues to push the boundaries of animation technology.